Jain Temple near Pattadakal was constructed in Dravidian Style of architecture. 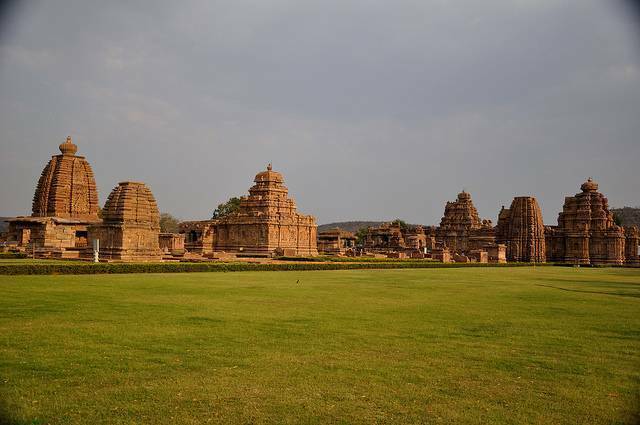 The temple is situated in the route of Pattadakal-Badami. As per historic inscriptions, the temple was established by Manyakheta’s Rashtrakutas King Amohavarsha I or Krishna II, son of Amohavarsha. The Jain temple which dates back to 9th century has Mukhamandapam, Navaranga, Sanctum Sanctorum and a Shukhanasa. Minute carvings and sculptures are enthralling features of Jain Temple.